How Much is a Hotel Room in Sant Esteve Sesrovires? Hotels in Sant Esteve Sesrovires start at $38 per night. Prices and availability subject to change. Additional terms may apply. 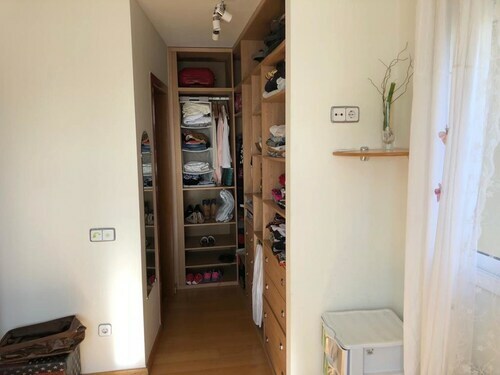 If you are intending on journeying through Barcelona and have the urge to experience what there is to offer in Sant Esteve Sesrovires, as a savvy traveler, you will find it easier to book in advance through Travelocity to secure the ideal place to base your trip. You will find 7 lodging options in Sant Esteve Sesrovires that will work for you. 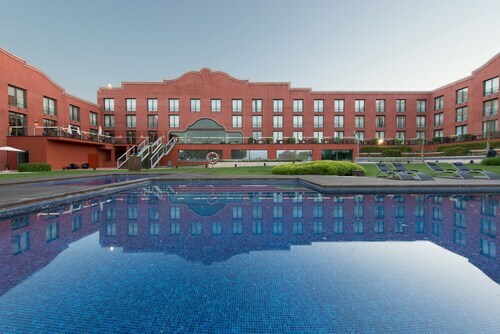 The Hotel Les Torres, is an exciting option for when you come to town as it's the most centrally positioned lodging option in Sant Esteve Sesrovires. The ABaC Restaurant & Hotel can be found 15 miles (23 kilometers) from the center of Sant Esteve Sesrovires. Also, the Cava & Hotel Mastinell is 14 miles (22 kilometers) away. 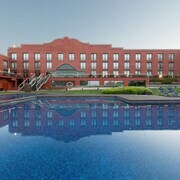 The Hotel Primero Primera as well as the The Urban Suites are two other places to base yourself in Sant Esteve Sesrovires. If you have time, adventurous explorers could explore the other scenic and cultural delights of the Catalonia region. Catalonia is home to beaches, coastal plains, forests and rivers, and other commonly visited visitor sites include ruins, castles and old towns. Modern visitors in this region of Spain love mountain biking. Granollers is 20 miles (36 kilometers) east of Sant Esteve Sesrovires and is where you'll find La Porxada and Granollers Church. 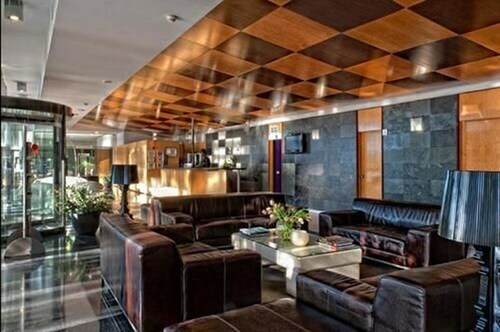 Some Travelocity-listed Granollers lodgings include the Mercure Augusta Barcelona Valles and Montmeló Hotel. 18 miles (29 kilometers) southeast of Sant Esteve Sesrovires, is Barceloneta, home to the Hotel Arts Barcelona and Ciutadella Park Apartments. While in Barceloneta, set aside a little time to check out the Sant Miquel del Port and Barcelona World Race Interpretation Centre. If you are interested by sports and really like local matches head to Camp Nou, which is found 15 miles (24 kilometers) to the southeast of Sant Esteve Sesrovires. 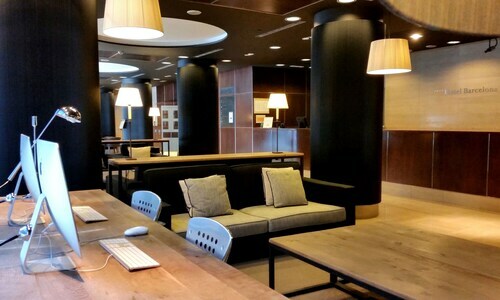 Book a hotel right near the sporting action at the ALMA Barcelona or the Omm. Situated 16 miles (26 kilometers) outside Sant Esteve Sesrovires's downtown area is Barcelona International Airport. 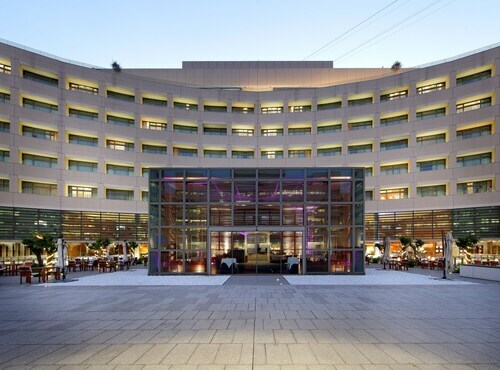 Stay nearby at Barcelona Airport Hotel or Hesperia Tower Hotel.